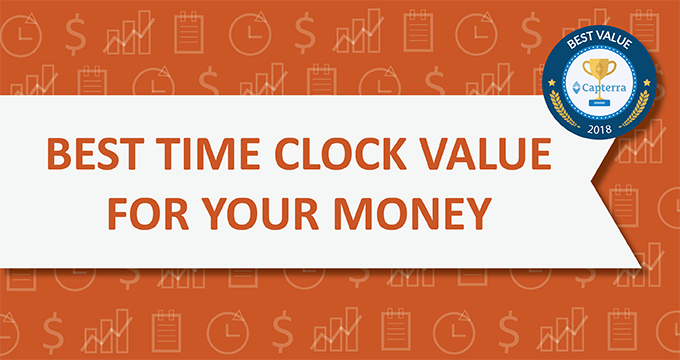 Looking for the best deal on time clock software on the market? Look no further. Looking for 5-star time clock software at an affordable price? At Orbital Shift, we don’t think businesses should have to fork over an arm and a leg to increase labor productivity. That’s why, for eight years, we’ve offered competitive pricing, annual discounts - and now, the reviews are in. 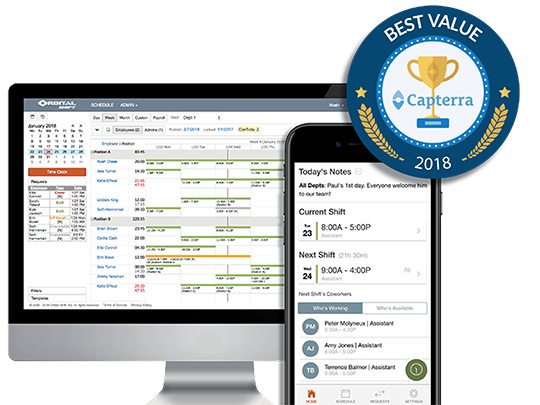 This week, Orbital Shift was the first company to be awarded the ‘Best Value for Money’ badge in the Time Clock Software category on Capterra, the leading software review company. We want to thank all of our trusted clients who shared their experiences with Orbital Shift workforce management software on Capterra’s site. Our time clock software comes with a variety of features from robust employee scheduling to an employee time tracker app to an easy punch clock station - all starting at just $4 per employee per month. A productive workforce is an essential part of every successful business. But if your workforce management software is costing you more than two cups of coffee for each of your employees per month - you’re paying too much. But just because you’re getting a serious bargain, doesn’t mean you should have to sacrifice quality. We care about our clients, and when they do well, we do well. That’s why we offer custom feature development to fit your business’ unique needs, and a world-class support team that’s on call and ready to answer any questions as soon as they arise. For more information on Capterra's "Best" awards, visit their "Best" Methodology page.